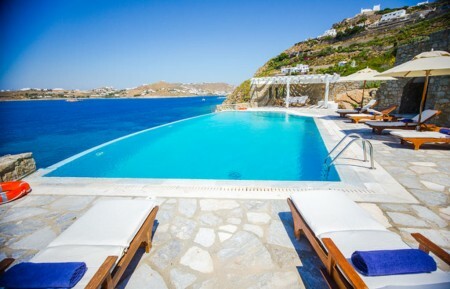 Villa Amyza is a unique 71m2 villa at the top of the property, with the magnificent views of the Aegean Sea and the Cycladic islands of Delos and Rhenia. It has private access to sea and helipad. 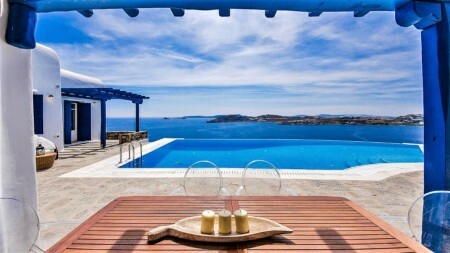 Villa Avance 72m2 villa at the top of the property, with magnificent views of the Aegean Sea and the Cycladic Islands of Delos and Rhenia. It has private access to sea and helipad. 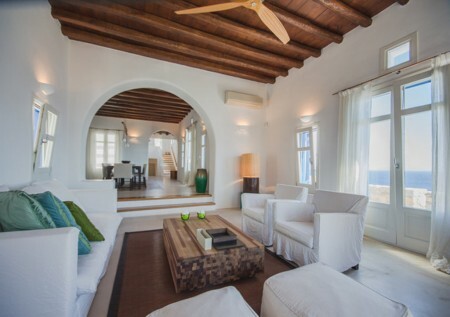 Villa Bardo is an exceptional residence of 600m2 where guests can enjoy magnificent sea views towards numerous islands, starting from Delos and Renia until the endless blue of the Aegean sea. the historic island of Delos and Rhenia. It has private access to sea and helipad. Villa Clelia is an ultra-exclusive and prestigious 398m2 villa, with sea view sunset and the historic island of Delos and Rhenia. It has private access to sea and helipad. Villa Dela is an ultra-exclusive and prestigious 350m2 villa, with sea view sunset and the historic island of Delos and Rhenia. It has private access to sea and helipad. Villa Elpis is an ultra-exclusive 350m2 villa, decorated and painted by the world renowned interior designer Alberto Pinto and offering exceptional facilities and amenities. 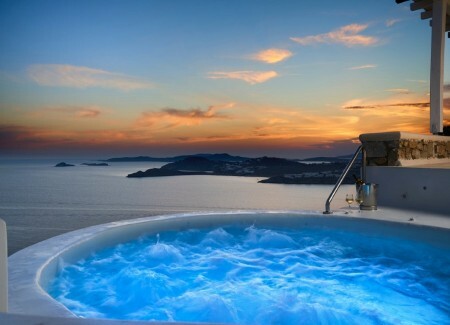 The Villa faces the sunset and the historic island of Delos. Villa Evelina is an ultra-exclusive and prestigious 350m2 villa, with sea view sunset and the historic island of Delos and Rhenia. It has private access to sea and helipad. 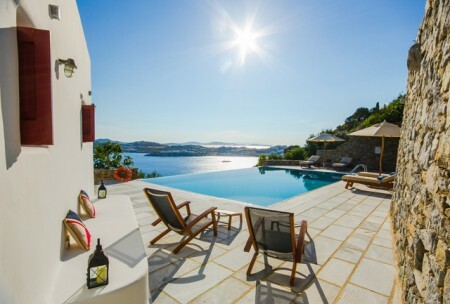 Villa Flasa is an ultra-exclusive and prestigious 515m2 villa, with sea view sunset and the historic island of Delos and Rhenia. It has private access to sea and helipad. Villa Grenda is unique 488m2 villa decorated and painted by the world renowned interior designer Alberto Pinto. The Villa faces the sunset and the historic island of Delos. 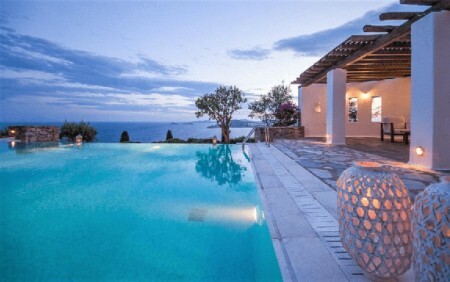 Villa Grenda S is unique 176M2 two level villa with undisrupted view of the colorful Cycladic sunsets. 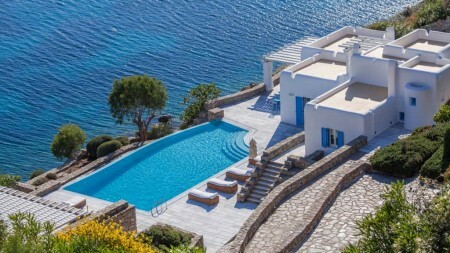 Villa Hana is an ultra-exclusive and prestigious 510m2 villa, with sea view sunset and the historic island of Delos and Rhenia. It has private access to sea and helipad.